In the first segment of the program, we played an interview with 7th and 8th grade students at Wildflower Open Classroom Charter School in Chico about their project, Ecotopia 2121. After looking at Alan Marshall's book, Ecotopia 2121, which we covered in our September 16 program (See 2016 Archives), they constructed a model of a future city using recycled materials like foam, bubble wrap, and soft drink cans. They described how they constructed the model and how each building represented a priority need for 2121: water, housing, transportation, energy, and more. Listen to the interview. Jim is also active in the local foods movement as a gardener and community activist. 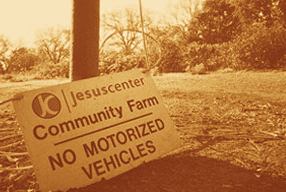 He told us about the Jesus Center Community Farm which raises tons of great organic food and provides training, work, and personal satisfaction for homeless people who come to the Center. They've launched a highly successful CSA program, give away a great deal of food to people in need, and provide food for the Jesus Center kitchen. Listen to Jim's interview. 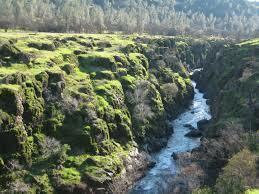 Next we talked with Chicoan Jim Mathys about two of his environmental interests. First we asked him about his work as a landscape designer and water auditor with his company,TerraDesigns. He expressed his concerns about the water supply in our part of the world (too many people for the water we have available) and some of the work he has done for others and in his own backyard to conserve it. Our guest was Dmitry Orlov, author of Shrinking the Technosphere: Getting a Grip on Technologies that Limit Our Autonomy, Self-Sufficiency, and Freedom, published by New Society. 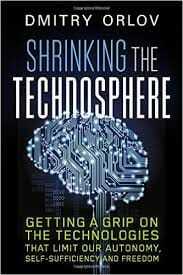 He writes about the "technosphere," the world of technology that claims to make our lives simpler and more efficient, from microwaves to cell phones, from radios to satellite TV. 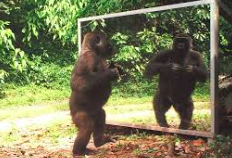 He says that the technosophere (which he contrasts to the more natural "bisophere") has a mind of its own that seeks to homogenize homo sapiens (formerly homo habilis, the tool maker) with an amoral focus on growth, control, "progress," and obedience and conformity. His solutions principally involve downsizing and simplifying, stepping outside oneself to break the control of technology in our lives. Dmitry also writes a weekly blog exploring these issues at <cluborlov.blogspot.com>. 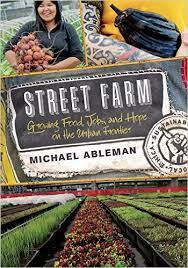 Our guest was Michael Ableman, author of Street Farm: Growing Food, Jobs, and Hope on the Urban Frontier. He (with great modesty) described a remarkable project in Vancouver, British Columbia, using urban spaces and employing people who have, euphemistically, been described as “down and out.” His Sole Food Street Farms (S-O-L-E is an acronym for Save Our Living Environment) creates tons and tons of healthy food and has been remarkable in helping to change the lives of the workers. Michael says, “The ultimate goal of farming is not the growing of crops, but the cultivation of human beings.” The book is published by Chelsea Green Publications <http://www.chelseagreen.com>, and you can learn more about Michael and his projects at <michaelableman.com>, <foxglovefarmbc.ca>, and <solefoodfarms.com>. <In the first half of the program, our guests were Stephanie and Brian Ladwig-Cooper, who run Earthshed Solutions, <https://earthshed.org>, a 501(c)(3) organization serving the communities living in the bio-region of Butte County and beyond. 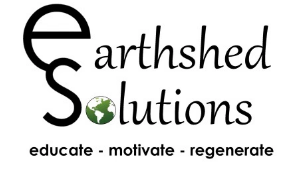 Earthshed Solutions’ mission is to promote ethical decision making and responsible stewardship of Earth’s resources. Stephanie and Brian discussed their programs to teach and empower people through projects that design regenerative systems for food production, soil fertility, energy efficiency and water conservation. Next up, we talked with Sanja Cerni of Grid Alternatives <http://www.gridalternatives.org/northvalley>, which not only provides inexpensive solar installations for low income families, but also offers training in solar installation that can lead to green jobs. She told us about the criteria for qualifying and about a progam in Chico that will even help people repair and rebuild roofs that need a little TLC before receiving a solar installation. ​Listen to the program. Click below. Then we interviewed Gayle Kimball, longtime northern California activist, who is working on a Chico area demonstration in the downtown plaza January 21, in solidarity with the Million Women march in D.C. You can in organizing for the event on Norcal Progressives on Facebook and Gender and Sexuality Equity Center - CSU, Chico in BMU 004 <webapps.csuchico.edu/directory/departments/gsec>. 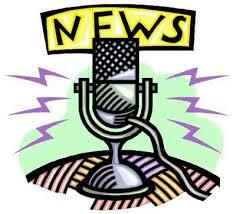 Listen to the program: Click on the link below. In the first half of the show, we interviewed Gerard Ungerman, who, with his partner, Stacy Wear, is the founder of “Respectful Revolution,” a project that creates short videos of people who are making a difference in their communities. The videos are available on an interactive map at <respectfulrevolution.org>, where you can also make contributions to this amazing and wonderful project, an antidote to post-election depression. Our guest was Benjamin Dancer, author of a novel titled Patriarch Run. It’s an eco-thriller that combines international intrigue, cyber sabotage, car chases, firefights, as well as a number of environmental and sustainability issues. Its author, Benjamin Dancer, is an advisor at a Colorado high school and has made a career out of mentoring young people as they come of age. He is also the Director of Public Relations for the Colorado EMP Task Force On National and Homeland Security—EMP standing for Electromagnetic Pulse. The novel is published by Conundrum Press. We talked with Benjamin about how this novel informs readers about environmental issues, and he read an excerpt from the book that presents its view of what the world might look like if electric power is disrupted. He closed the interview with an optimistic, humanistic view of how we can avoid Armageddon. Click here to download the recording to your computer. Our guest on this program was Jeremy Caradonna, who teaches Environmental Studies at the University of Victoria. His book is Sustainability: A History, recently released in paperback by Oxford University Press. In his online bio he writes, “ I see modern culture as an 'inheritance' from past generations. It's a kind of gift that we fight over.” As Jeremy made clear in the interview, he is a community activist as well as an academic. His book is an excellent read, and we discussed—too briefly—the origins of the sustainability movement, its 17th and 18th century emergence during the industrial revolution/mercantile era, the 1960s/70s popular understanding of sustainability, and the recent history of the movement. We concluded by asking him about his 10 challenges to the environmental movement. Our guest on this program was Robert Muir-Wood, speaking with us from London. He is the chief research office of a company called “Risk Management Solutions.” He also teaches at University College London's Institute for Risk and Disaster Management. His new book is entitled The Cure for Catastrophe: How We Can Stop Manufacturing Natural Disasters, published by Basic Books. Robert argues that although natural disasters are inevitable, we can take steps to predict, prepare for, and respond to them in ways that can save lives and partially avoid destruction. During the interview he talked with us about some of the historical spiritual or superstitious responses to disasters, about the emergence of scientific study of catastrophes, about a rewriting of the “Three Little Pigs” to reflect what we know about construction techniques, and about how contemporary computer modelling is providing deeper understanding and anticipation of natural disasters. Robert told about “Dr. Resilience,” who offers a way to respond to disasters, offered a glimpse into what risk analysis may be like in 2030. Listen to the program, click here. Download a copy, click here. 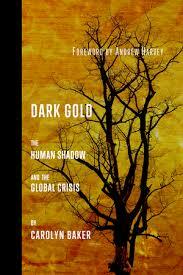 In this program, Susan spoke with with Carolyn Baker, author of a new book, Dark Gold: The Human Shadow and the Global Crisis. Carolyn’s work centers on how we can not only survive collapse and disaster but can use it as an opportunity for growth. According to her website, “Carolyn Baker’s mission is to create islands of sanity in a sea of global chaos. This mission necessitates the development of a variety of emotional tools alongside commitment to spiritual transformation.” She is the author of ten books that explore the frightening world in which we live. While acknowledging that we are on the verge of collapse—social, environmental, political and economic—Carolyn Baker offers a way out, or through, to joy. The topic on this program was Utopia—looking for a more perfect world. The Greek roots of the word actually mean “no place,” but our guest was considerably more optimistic. Alan Marshall is a social scientist who teaches at Mahidol University in Thailand. He has launched a program called Ecotopia 2121, which is celebrating the publication of Thomas More's Utopia 500 years ago in 1516 and is looking forward to transforming cities into Ecotopias over the next 100 years. The book has been published by Arcade Publishers and is available from the usual online booksellers. It contains amazing futuristic paintings of 100 global cities, showing how they might look in another century—if they go green. 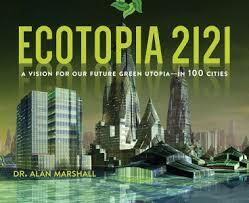 You can also read his analysis of the impact of Thomas More's Utopia: Check out Alan's website at Ecotopia2121.com. We interviewed Kelly Munson and Shannon O’Laughlin, two of the organizers of the the upcoming “Weaving Women’s Wisdom” congress, coming up September 16-18 at the Concow Campground. They described a wonderful array of workshops and sharing sessions for women of all ages, with topics ranging from the philosophical to the practical. For full details and to register go to http://www.weavingwomenswisdom.com. Listen to the program Download the program. Our topic in this program was “The Good Crisis,” which is the title of a new book edited by John Seager and Lee Polansky and published by The Population Connection. Their contributors argue that although the population explosion is a grave problem around the world, it also presents and opportunity to make better use of the people on the planet now: through education, job training, and making use of people who have often been excluded from achieving financial sustainability. First we spoke with one of the co-editors, John Seager, who is president of Population Connection, the group that used to be known as Zero Population growth. He outlined the thesis of the book and discussed something called “the birth dearth,” a false claim that declines in the fertility rate in the US and abroad are creating a baby shortage. Then we were on the phone with Ronald Lee, a professor of demographics and economics at UC Berkeley. He spoke about the expanding population of senior citizens and offer some ways in which the elders can be successfully engaged in an economically sustainable economy. As we prepare Ecotopia each week, we come across news items that we can't fit into the program theme. So from time to time we bring you a potpourri of news and information that has caught our eye and we'll read excerpts from those stories. In this program, we presented recent news about the Twin Tunnels, oil trains, throwaway coffee cups and plastic bags, fast food menu changes, animal athletes, and biophobia. We also included brief audio clips from classic news broadcasters, including Walter Winchell (1945), John Cameron Swazee (1952), and Walter Cronkite (1963). In this two-part program we talked with people who are studying, understanding, and protecting wildlife, including animals and even fish that live in or close to urban areas. Roland Kays has written a book titled Candid Creatures: How Camera Traps Reveal the Mysteries of Nature (Johns Hopkins University Press). His book shows animals whose photos have been taken in “camera traps,” where animals—seldom observed directly in the wild—trigger motion sensors and have their photos taken. His book includes over 600 photos of a wide array of animals, including some you and we have never heard about. Then we spoke with Beth Pratt, California Regional Director of the National Wildlife Federation. Beth has a new book titled When Mountain Lions Are Neighbors: Wildlife in Today’s California (Heyday Press). She has closely followed a cougar named P-22, who actually lives in a city park in Los Angeles. P-22 illustrates the increasing need for people in urban areas to accommodate animals, whose natural habitat is disappearing. Listen to the program or download it to your computer. Susan’s guest on this program was Dan Jacoboson, legislative director of Environment California, an advocacy group with large grassroots support. Their agenda extends from protecting bees to finding way to oil in the ground to protecting our parks and wild places to fighting climate change will green energy efforts. On this program, we talked with Gail Woon, who founded EarthCare in the Bahamas in 1988. We especially appreciate people who stick with it, and that group has been actively engaged for a long time in political, educational, and legal actions to defend the Bahamian islands. And, as she explained, they need defense against all sorts of threats, from developers who ignore environmental laws to cruise ships that bring both income and pollution to the islands to global warming that can sink the islands. Her particular passion is working with kids, educating them on environmental issues and helping them discover their own voices through art, music, and advocacy. We also want to thank our Ecotopia intern, Cameron Ulyate, who not only wrote the script for the program, but has also worked with Gail in the Bahamas. In this program we discussed “oil bomb trains,” those freight trains of fifty or more tank cars carrying crude oil from the Bakken Formation of North Dakota and the Alberta Tar Sands to ports on the U.S. and Canadian coasts. As our guests explained, these are rolling bombs, threatening our environment and our personal safety. Our guest was Leah Parks, who is co-author, with S. David Freeman, of All-Electric America: A Climate Solution and the Hopeful Future, recently published by Solar Flare Press. She is an associate editor for ElectricityPolicy.com and Electricity Daily, which monitor events and legislation for the electricity industry. As a freelance writer, she has explored energy storage, smart grid technology, energy infrastructure, and renewable energy. She and David state, “We can now power all of our energy needs with electricity generated completely by renewable energy.” In the interview she explained how this can happen with existing and developing technology and outlined the steps that are required by the government, utilities, and above all, individuals, to make this happen. We found this to be an especially upbeat interview and were persuaded by the arguments. Learn more at www.allelectricamerica.com/​. In this program we looked at all that is plastic and how it effects our environment. The program was created by Cameron Ulyate, who has been serving as our Ecotopia intern for the past several months. He arranged for us to talk with Katie Allen from Algalita Marine Research and Education, a nonprofit that is concerned about plastic pollution in the oceans. Algalita’s project includes scientific research into ocean pollution, education, and global activism. Katie told us about several of their research projects and how plastics pollute the ocean and devastate wildlife. She also discussed their POPS program—Plastic Ocean Pollution Solution—which brings young people from all over the world to present solutions to plastic pollution. You can access Algalita at algalita.org. Our guest was James Hoggan author of I’m Right and You’re an Idiot, an investigation of “the toxic state of public discourse and how to clean it up.” His book is based on a series of interviews with important thinkers such as Thich Nhat Hanh, Noam Chomsky, the Dalai Lama, and others. He carefully analyzes the causes of discourse disfunction, including “the advocacy trap,” “morality binds and blinds,” and “facts are not enough,” moving toward solutions involving “power and love” and “warmheartedness.” Jim is president of his own PR firm, author of the DeSmog blog, and Chair of the David Suzuki Foundation Board of Directors. 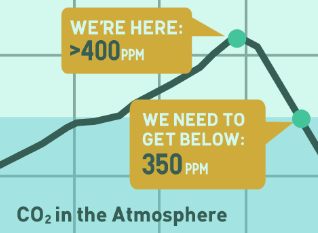 In the second half, she was on the line with Morro Olivera in Washington and had Jake Davis in the studio in Chico; they spoke of 350.org’s recent, highly successful demonstrations on climate change that were held throughout the world. Jake also spoke about Measure E, the anti-fracking measure that is on the June ballot. 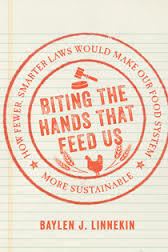 We interviewed Jay Wexler, professor at the Boston University School of Law, about his book, When God Isn’t Green. He told us about some of his observations in places “Where Religious Practice and Environmentalism Collide,” including a Ganesh festival in Mumbai, the burning of joss in Southeast Asia, whale harvests in Alaska, and the salvaging of dead eagles for Native American spiritual use. He does not place judgements on religious practices or governmental interventions, but also suggests that in some instances, “collectivizing” religious practices within a community could help spare the environment. This show was devoted to the Endangered Species Faire, sponsored annually by the Butte Environmental Council on the first Saturday in May. In the first part of the program, we talked with BEC Executive Director Natalie Carter about the history of the Faire (now in its 37th year), the booths and exhibits, the entertainment, special events, etc. A one-of-a-kind feature of the Faire is the Procession of the Species, a parade of puppets of endangered animals created by Chico area elementary school students. Listen to our interview with Natalie. Then we interviewed some of those children and their teachers: Deserae Dahlgren, Marlo Knox, and Teresa Shippen. The kids told us about the animals they have chosen, how they constructed their puppets, and what they learned about the threats to survival for that animal. To close, they sang Don Spencer’s “Feathers, Fur, and Fins,” which all the children sing at the end of the parade. ​This is a must-listen interview--click here. 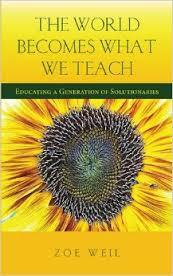 Our guest on the program was Zoe Weil, Ce who has devoted her career to bringing humane education to the schools, education that includes thinking about solutions to earth's myriad problems. Zoe Weil is cofounder and President of the Institute for Humane Education, which is committed to education that “works to create a peaceful, regenerative, and equitable world for all people, animals, and the environment through education.” She is the author of a new book titled The World Becomes What We Teach, published by Lantern Press. Our guest on this program was Donald Worster, Professor Emeritus of American History at the University of Kansas, discussing his new book, Shrinking the Earth: The Rise and Decline of American Abundance. Starting his research with the impact of Columbus’ “discovery” of the new world, he analyzes how this Second Earth was seen as an amazing, cornucopian gift. He traces arguments favoring the view that the earth is endlessly abundant and contrasts them to ongoing concerns about the limits to growth and the potential catastrophic consequences of assuming that growth and resources are endless. Our conversation concluded with his discussion of a photo taken by the Voyager probe from the edges of the solar system, showing earth as a tiny blue dot. Both of our guests on this program will be keynote speakers at the Chico State University “This Way to Sustainability” conference coming up March 24-25. Our first guest was Deborah Koons Garcia, who wrote, directed, and produced the film “Symphony of the Soil,” which has been described as “an artistic exploration of the miraculous substance: soil.” We asked her about what she’s learned about the miracle of soil in the process of putting together this highly acclaimed film. You can see the trailer and learn more about the film at http://www.symphonyofthesoil.com. Then we spoke with Sandra Postel, who founded the Global Water Policy Project in 1994. She has worked actively to restore wetlands and tributaries and thus get water back into rivers like the Colorado and the Verde. At http://www.changethecourse.us, people can monitor their own water footprint and take a pledge to reduce their own water consumption—for each pledge, the Project will restore 1000 gallons of water to a river or stream. 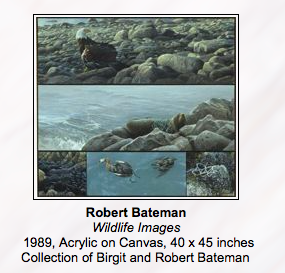 Last week we spoke with two artist--Bob Bateman and Kent Ullberg--whose work is on display as part of an exhibit titled Environmental Impact that has been traveling around the country and is currently on display at St. Mary's College in Moraga. There are 75 paintings, photographs, prints, installations, and sculptures in the exhibit, and they deal topics ranging from industrial scale resource consumption and development to oil spills to the perils of nuclear energy to global warming and to other environmental problems that impact the planet, its people, and its plants and animals. This week, we spoke with the curator of this amazing exhibit (which you can view online, if not in person): David Wagner is also the author of American Wildlife Art, a book that documents artists' perceptions of nature from colonial times to the present. You can visit the exhibit online at <http://davidjwagnerllc.com/Environmental_Impact.html>. The exhibit has also been the subject of multiple posts on the blog of the Millennium Alliance for Humanity and the Biosphere <mahb.stanford.edu>. We also combined the recordings of both programs, and you can listen to David Wagner, Robert Bateman, and Kent Ullberg here. In this program we had several guests linked by a theme of imaginative art and its view(s) of the natural world and environmental activism. First we talked with John Muir (Jack) Laws, author of a new book on Nature Drawing and Journaling. Lavishly illustrated with his watercolors, the book focuses on increasing one’s observational skills as a way into drawing, painting, and writing. For Laws, seeing the details (rather than focusing on “technique”) powers the journal. [http://www.johnmuirlaws.com/] Laws also has a curriculum, published and available online by the California Native Plant Society that shows how to use these skills in an integrated language/science/math/program.[http://www.cnps.org/cnps/education/curriculum/index.php]. 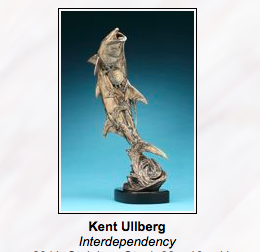 Then we spoke with Kent Ullberg, and Robert Bateman, artists and art historians whose work is on display as part of a traveling exhibit, Environmental Impact, currently at St. Mary’s College in Moraga. 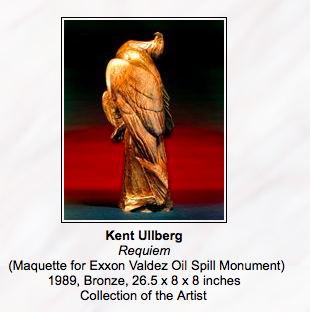 You can access the exhibit, including all the works on display, at http://davidjwagnerllc.com/Environmental_Impact.html]. 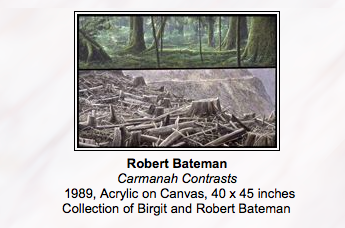 We learned about the exhibit through the blog of the Milennium Alliance for Humanity and the Biosphere [http://mahb.stanford.edu/], where you can also read essays by Bateman, Wagner and others on art and environmental impact. Listen to the interviews with Robert and Kent. This program was devoted to hydraulic fracturing—fracking—and its impacts. In the first half of the program we were on the phone to Alberta, Canada with journalist Andrew Nikiforuk, author of Slick Water: Fracking, and One Insider's Stand Against the World's Most Powerful Industry. He described some fascinating and frightening history of how fracking has evolved over the past 150 years, and then he told the story of Jessica Ernst, a person who has launched a single-handed campaign against commercial fracking and the Canadian government. And in the second half of the program, we spoke with Dave Garcia, who has led the anti-fracking movement here in Butte County. He gave us an update on the June 7 ballot measure that would ban fracking in Butte County, and, as usual with Dave, provided precise and well researched information on why fracking is a danger, not only to the county, but to the world. Our guest in this program was Chico resident, Jeanette Colbert. She has been working on a project in South Africa to help a group of women get water on to their agricultural land. She is going back to South Africa in March to help complete the Cunningmore Women’s Project. She is fundraising for the project, and you can learn more and contribute at <https://www.gofundme.com/thdq5n98>. She also told us about her work for the Seeds of Light project, including working with children orphaned from the AIDS pandemic, growing food gardens, providing clean water, dance, music, and a week long training for 300 villagers to demystify HIV/AIDS and to tell people how to live in a healthy way. As many of our listeners know, the Chico Housing Action Team has been looking into tiny houses as a partial solution to needs of Chico area homeless people. Establishing a tiny house village is fraught with complications and possibilities, and our guest on this program has done research into established villages here in the US. Cate Mingoya serves the Commonwealth of Massachusetts as the Director of Policy and Programming for the state's Public Housing and Rental Assistance Division. She has a Master of City Planning degree from MIT, where her thesis focused on Tiny House Villages as an alternative to traditional forms of permanent and transitional housing for the homeless. She spoke with us about Tiny Homes projects in Madison, Wisconsin and Portland, Oregon and shared a number of insights into what makes Tiny Villages successful, a “long term tool with short term flexibility.” Sadly, due to circumstances beyond our control (truly, beyond our control) we don’t have a recording of this program. 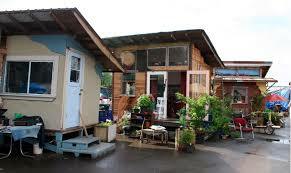 However, you can read about Cate’s work at <http://news.mit.edu/2015/tiny-houses-could-mitigate-homelessness-0723>. In the first half of the program we spoke with Mark Stemen, Adrienne Edwards, and Lexi Smith of the Move the Junkyard campaign. They spoke from various perspectives on how and why the 20th Street Chico Scrap Metal recycling yard is a health hazard and why they are campaigning to have the city make good on its promise to move the junkyard out of the Chapman neighborhood. And then we spoke with Woody Elliott of Friends of Bidwell Park and the California Native Plant Society who described progress in the Butte Regional Conservation Plan, a cooperative effort of regional governmental agencies to balance growth and conservation over the next fifty years. He spoke of specific efforts to save endangered species and of the ways in which community members can get involved and register their ideas. Our topic in this episode was the Snow Goose Festival, a huge and amazing enterprise coming up at the end of January. We spoke with Mary Muchowski who is doing wildlife walks as part of the festival and with Lucas Ross-Merz, who described some of the Sacramento and Feather River trips that are available to conference goers. This week we interviewed two members of the Humane Society. 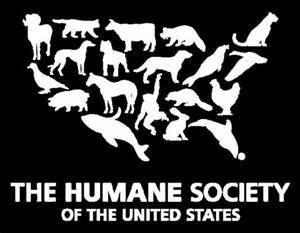 First we spoke with Courtney Fern, California Director of the Humane Society of the United States. We asked her about the goals of the Humane Society and the incredible range of its advocacy, legal work, education, and of course, the care of animals. Then we talked with Katrina Woodcox, Executive Director of the Butte County Humane Society, with particular emphasis on the needs and funding of the Humane Society and the range of services it provides animals and people here in the Northstate. She spoke specifically of their need for volunteers as well as the special programs they have for education of the young, foster families for animals in need, the spay and neuter clinic and more. Our guests on this program talked with us about bees and beekeeping over a period of about 5000 years. First we spoke with Gene Kritsky , a biologist and anthropologist who has studied evidence of bee keeping in ancient Egypt based on statues and hieroglyphics. He spoke about his book The Tears of Re: Beekeeping in Ancient Egypt, which explore beekeeping history and the role of bees in Egyptian culture. And then we talked with Lee Edwards of Cherokee, who calls himself a “hobbyist” beekeeper. Lee told us about some of his beekeeping practices as well as discussing the current crisis in the bee die-off.